There are Superweapon so powerful that they may give governments the necessary confidence to start a world war and win. At the moment one of the main reasons a war isn’t happening is because of MAD (Mutually Assured Destruction). The belief that if a country declares war they will be destroyed along with the other country. The creation of new superweapons may get rid of this deterrent. 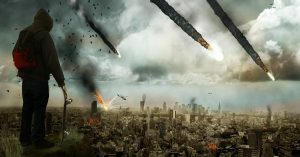 Inspired by meteor strikes on the Earth scientists are looking into the possibility of doing something similar. 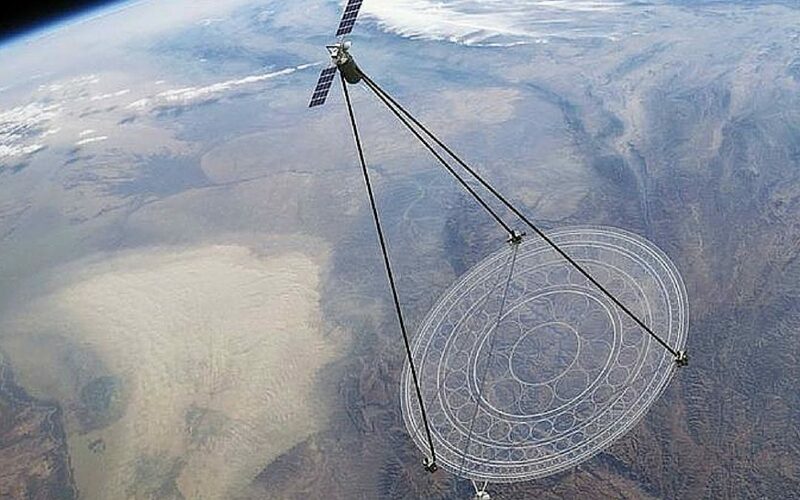 Utilizing satellites out of the Earth’s orbit the US could drop giant rods so that they land on specific targets like a meteor. The rods would gain immense speed as they fell, and could cause a lot of damage to enemies, and would easily go through buildings. Since they rods instead of large and round they would be able to be dropped more accurately. 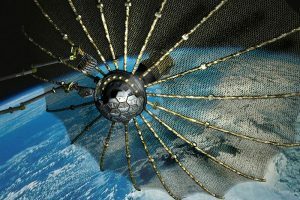 It would require two satellites, one to figure out where to drop it, and the other to actually drop it. Also known as the heat ray, this device was built during the Afghanistan war, and got it’s name because it heats up the skin of human targets to cause immense pain. It’s designed to be a non-lethal weapon used for crowd control. Reports show that Russia and China are developing their own versions of this weapon. 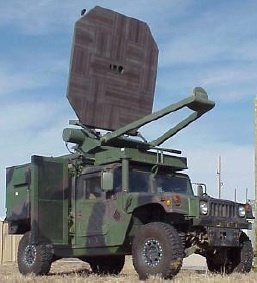 The heat ray fires powerful a beam of 95 GHZ at the target. The beam targets the water, and fat molecules under the skin and the heats them up to cause pain. It’s possible for the superweapon to cause second degree burns to it’s victims. The superweapon may also be used to break up prison brawls. 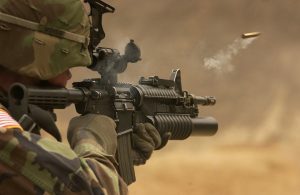 DARPA has successfully created homing bullets that allow anyone to hit a target from 100 yards away. Expert shooter shot at a moving target and even though the trajectory was off so they should have missed, the bullet changed direction in mid air to hit the moving target. It wasn’t only expert shooters that tried this successfully but also novices who had little experience firing a gun. The biggest problem was trying to put flight mechanisms into something so small. This is a major breakthrough in military technology and will surely lead to some much more powerful and dangerous weaponry. In the past cannons were one of the most powerful weapons in the world. 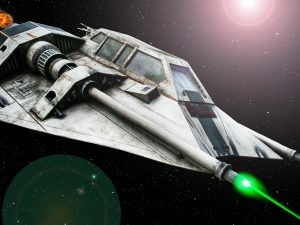 They could fire heavy rounds across far distances, and with only two people you could take down an entire ship. This superweapon is the modern day version of the cannon. It has amplified the cannons strengths and left out it’s weaknesses. 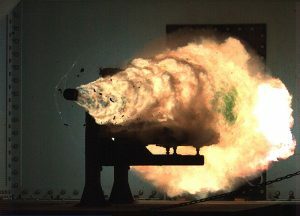 The Railgun can fire a 25 pound shot with no chemicals, and only one man. It fires at seven times the speed of sound and destroys anything in it’s path. It has a guidance system allowing it to home in on targets. Not only is it powerful but it’s also cheap, and will be easy to mass produce. This may be one of the most amazing weapons on this list. Using this guns don’t actually fire bullets, but molten metal into the air that then shape shifts into the form of a projectile, and solidifies. It saves a lot of time when it comes to loading the, and can be used in rocket launchers and even handguns. The molten metal is propelled by electromagnetic fields from explosions. Known as MAHEM, the munitions will be used for armour piercing and anti tank weapons. Not only will it be more powerful than it’s predecessor but also much more efficient. The FEL has an unlimited magazine, and can fire at the speed of light, making it an incredibly terrifying weapon to be up against. Yet it is also very cost efficient and affordable. FEL gains power from unbound accelerated high-energy electrons, which allows it create a high intensity light. Navy ships will be fitted with this weapon which will be used to eliminate surface, and air treats to ships. The Dread Gun is the future of machine guns, instead of using gun powder it using a quickly rotating disc to give energy to projectiles, getting rid of powder in favour of centrifugal force. The gun is completely silent and never jams. The gun fires 120,000 rounds per minute travelling at 8,000 feet-per-second. It has no recoil, doesn’t get hot, and doesn’t flash when firing. This superweapon truly is a machine gun on steroids. Created in Area 54 this aircraft has the ability to fly straight up and down, and can travel at an impressive 500 miles per hour. When equips with missiles and other weapons it can take out enemy aircrafts in seconds. The unmanned aerial vehicle or UAV, allows pilots to fly with ease due to it’s advanced autopilot systems. The High Energy Laser Defense System uses a futuristic laser beam to shoot down rockets, missiles and other artillery out of the sky. At first it will only be on the ground, but eventually it will be fitted to aircrafts which will give it incredible mobility. Liquid lasers need large cooling systems to fire continuous beams, where as solid sate laser are more powerful but overheat easily, and can’t be fired continuously. This new laser would be ten times smaller, and lighter than it’s predecessors. Russia has built a revolutionary new weapon which can control and switch off enemy satellites from wherever it is. It can be mounted on the ground, on a ship, or even in the air. It would be capable of disabling missiles, and high precision weaponry guidance systems. They have refused to say how it works but state testing will begin soon. This superweapon could massively limit any countries ability to fight Russia, and would give Russia a huge advantage at war.